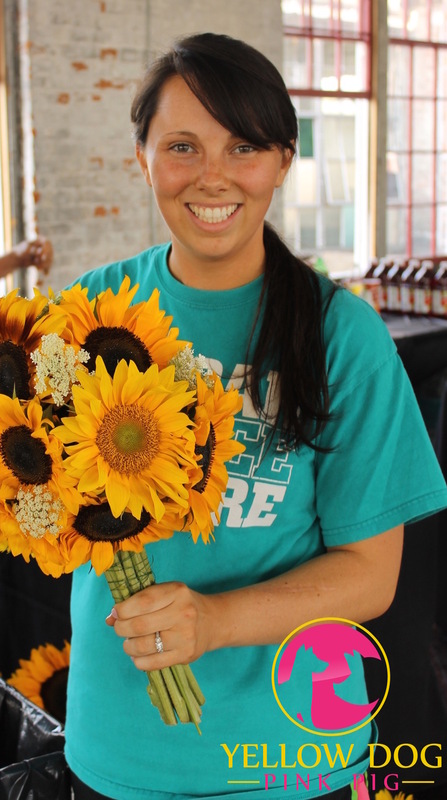 Happy Fri-YAY! 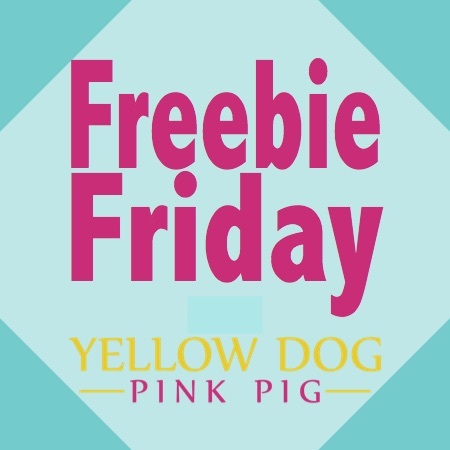 It’s 5 o’clock somewhere, so let’s grab a drink and enjoy this Freebie Friday! I’m so excited to share this print. 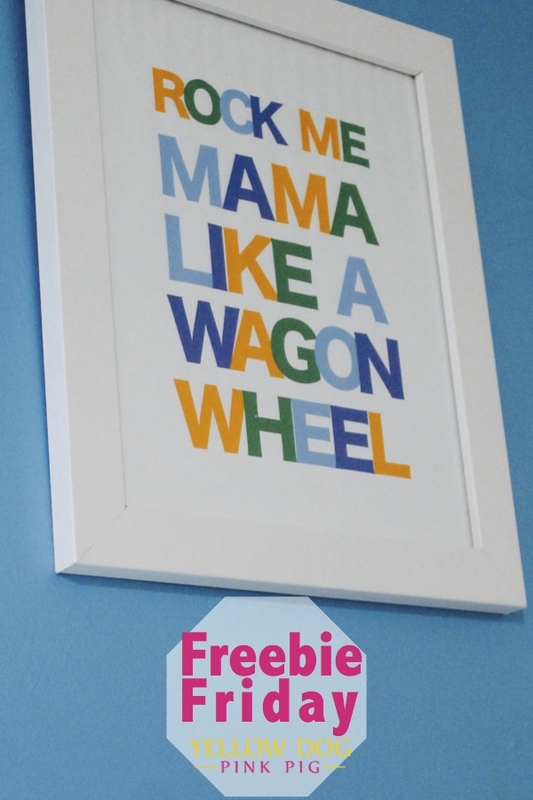 Our wedding song is “Wagon Wheel” by Old Crow Medicine Show, so we incorporated this in our Nursery. 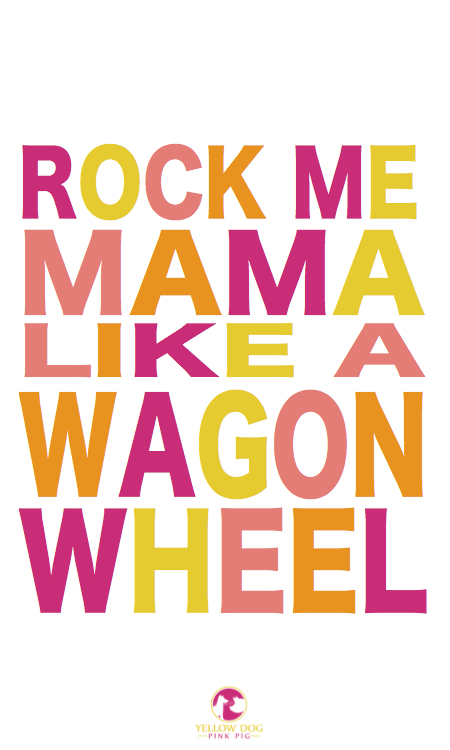 I love that we incorporated this important song into his room. Are you going to be adding this to your house? Let me know and share a picture! Don’t forget to check out the other Freebie Friday’s: Calendar, Awesome Quote, and Sailor Quote. If you’d like to customize this print click on over to my Etsy shop and make your own! Super cute!!! Thanks for the freebie! This is seriously so cute! 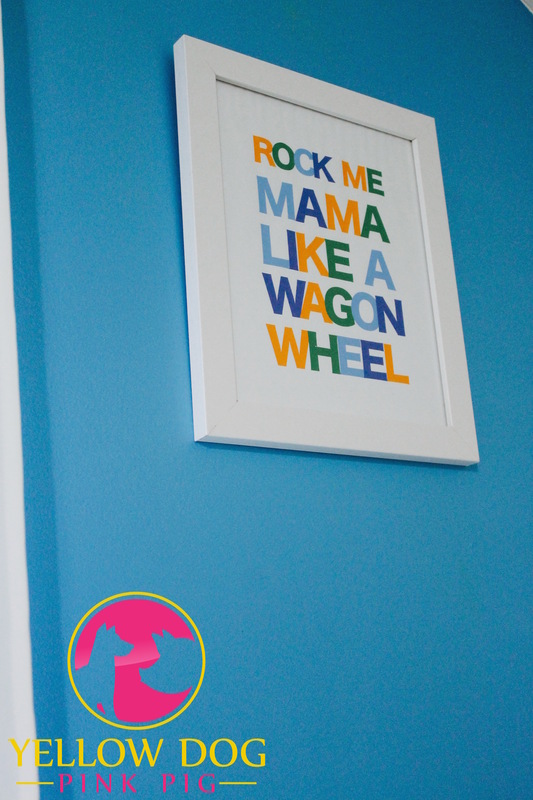 I love that you incorporated something sentimental to you, the parents, into your babies room! How sweet!! So cool. I love that you incorporated that into your nursery. Great idea!